Ashton Kutcher may have played pranks on unknowing celebs in the early 2000s, but these days, it's his 6-month old daughter, Wyatt Isabelle who's punking her pops. 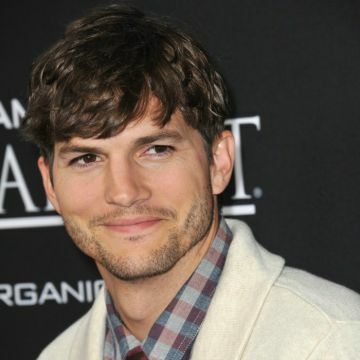 While on dad duty recently, Kutcher couldn't find a men's bathroom with a diaper-changing station. Annoyed with the inconvenience (and let's be real—the sexism! ), Kutcher took to his active Facebook account: "There are NEVER diaper changing stations in mens public restrooms. The first public men's room that I go into that has one gets a free shout out on my FB page! #BetheChange." Kutcher isn't the only dad complaining about the issue—as of writing this, there were more than 234,000 likes, 10,000 shares and lots of comments from fathers. Not only do we agree with Kutcher (dads change diapers too! ), we have to admit that we're crushing pretty hard on this new dad. He gushes over his fiancé, Mila Kunis calling her the best mom, and Kunis recently gushed back on Ellen about his parenting skills. "The second she was born, he changed the first diaper," she said. "And has changed multiple diapers ever since. If he's home, he changes the diaper." While Kunis thinks Kutcher has this diaper thing down, we have a tip for this dad-on-the-go when he's stuck in a, um, sticky—and dirty—situation. Until men's restrooms update their lacking facilities, dress Wyatt in fewer layers (it's California, people! ), so you don't have a blowout on leggings and a onesie. Don't forget the changing pad and always—always!—change her before you head out for your daddy and daughter date. A dad who changes diapers and inspires change? We're diggin' it.